Sony has reported that its finances are looking bleak despite an uptick in sales of mobile devices. The struggling Japanese company restructured some months ago in order to stem its gushing cash leaks and is yet to see any majorly positive results from the changes. The best news comes from the mobile and communications segment which is seeing the benefit of having absorbed Sony Ericsson with a relative jump in sales of 14 per cent compared to the same time last year. 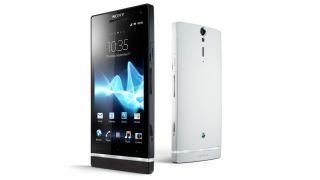 Sony puts this increase down to the continuing shift from feature phones to smartphones, as well as the strong performance of the Xperia S (and the Xperia Acro HD in Asia). The other segment of its business to see strong sales is the imaging sector – digital cameras, camcorders and broadcast equipment saw a 7.6 per cent increase in sales. But that's where the celebrations stop; gaming sales were down 14.5 per cent despite the PS Vita proving a hit and home entertainment products continued their downward spiral. Television sales dropped a further 35 per cent year-on-year, with sales proving particularly poor in Japan, North America and Europe. After reporting the largely grim figures, Sony announced it was revising its sales outlook for the financial year ahead. Instead of 17.5 million TVs it thinks it will sell 15.5 million sets and the company thinks it'll sell around 12 million handheld games consoles rather than its previous estimate of 16 million. Interestingly, the company maintains its forecast of 16 million PlayStation consoles for the year ahead – does it have something up its sleeve to reinvigorate interest? Like, a super-slim PS3 perhaps? We'll have to wait and see.